Pastor Ra’Shan Lamar Wilson of Charleston’s Southside Baptist Church was arrested for allegedly choking his pregnant wife. According to court documents, the victim, Dashonna Wilson, was strangled until she was unconscious for an undetermined amount of time. 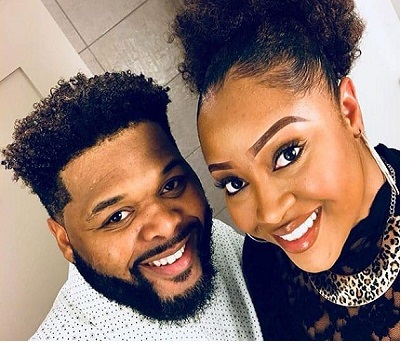 Reportedly, the 35-year-old lunged at his wife after an argument that took place when she went to the church to drop off the couple’s children. Investigators say the victim fell and hit her head on the ground, suffering an abrasion to the right side of her forehead. She called 911 and was taken to a nearby hospital where she was treated and released. The pastor has been charged with domestic violence of a high and aggravated nature. He was given a $20,000 surety bond, issued a no-contact order for the victim and cannot leave the state. Wilson was released on bail. The couple has children together and at the time of the incident, the wife was eight-weeks pregnant with their third child. Police said the alleged assault happened at the Southside Impact Church in Charleston around 11 p.m.
He’s not only a client, he’s a friend. What so far has been reported would be a horrendous example of domestic violence; however, when the true facts come out, we believe that (Pastor) Wilson will be exonerated of any criminal act as he looks forward to returning to his church and the community that he has diligently served and will continue to. In recent years, South Carolina has landed in the top tier in the nation for domestic violence deaths of women. It is a staggering toll that has placed the state on the list on three occasions, including this past year, when it posted a murder rate for women that was more than double the national rate. Nationwide, statistics confirm that nearly three women lose their lives at the hands of an ex or current love interest daily. Other states are moving forward with reform measures, but South Carolina has largely remained idle while its domestic murder rate consistently ranks among the nation’s worst. I celebrate your life because it’s one more year God allowed me to spend with My Partner, My Love, My Lover, My Best Friend…. The cause of the dispute is unclear. However, the pastor was arrested for choking his pregnant wife. A witness, who is also a family member, said the victim returned to her vehicle with leaves in her hair, blood on her forehead, limping and disoriented. Wilson’s attorney believes his client will be exonerated once all of the facts of the case are revealed. In the interim, he will continue to lead his congregation. Scripture and prayer, no doubt, are powerful tools of encouragement when people are struggling with certain issues. However, the church too often uses the same “prescription” of prayer and scripture as the joint cure for whatever ails you. The Christian community must become educated with psychological disorders if they are to effectively instruct parishioners. More prayer is simply not the antidote. This by no means denies the power of prayer and the knowledge that prayer changes things. There are many references and examples in the Bible where people received supernatural healing for a variety of illnesses. It is also important to note that often God chooses to heal through an approach that includes scripture, prayer, and more importantly medical and professional intervention. One Response to "Pastor Arrested for Choking Pregnant Wife at Church [Video]"
Thanks for the ideas you have provided here. On top of that, I believe there are numerous factors that will keep your car insurance premium straight down. One is, to consider buying vehicles that are within the good directory of car insurance providers. Cars which might be expensive tend to be at risk of being robbed. Aside from that insurance is also in accordance with the value of your truck, so the more expensive it is, then the higher the actual premium you only pay.